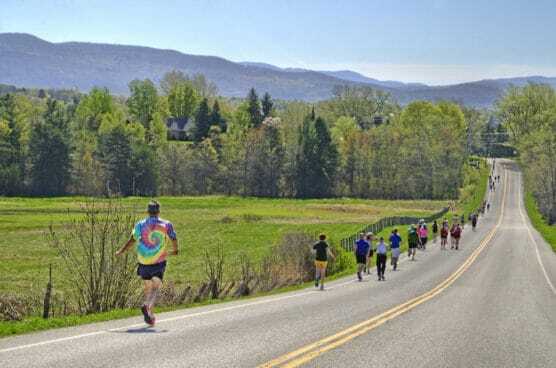 The rolling green hills, quaint downtown streets and college town atmosphere of this small city in central Vermont are just a few of the charms of the annual springtime Middlebury Maple Run Half Marathon & Relay, nicknamed “The Sweetest Half” and set for its 11th annual running this year. 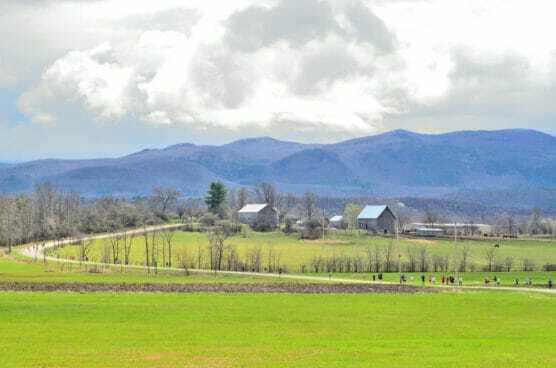 The course takes runners from the Middlebury town center out into the farm fields just north of town, and through the Middlebury College campus before bringing them out and back to town for the finish. In addition to the individual half marathon, there’s also a two-person relay. From the starting line next to Middlebury’s Porter Medical Center on South Street, runners follow the out-and-back course first northward along South Street up through town, and then make a left for a brief stretch along Main Street before turning right onto Weybridge Street. Runners continue northward along Pulp Mill Bridge Road and Morgan Horse Farm Road up into the farmland areas north of town, and then turn on Hamilton Road and again on Sheep Farm Road and head back toward town. Biggest uphill in first half. These stretches of the race also feature its longest and most sustained uphill stretch, as the course rises more than 200 feet in elevation from the mile 2 marker (around the second bridge crossing) to the mile 5 marker. After that point, the course then unfolds downhill between miles 5 and 6 as runners start making their way into the campus of Middlebury College, one of the country’s top liberal arts colleges and whose beautifully pastoral campus looks out onto the town and onto the Green Mountains off in the distance. 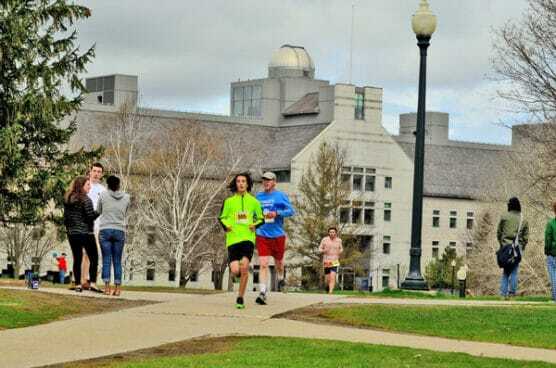 The stretch of the race through Middlebury College lasts for roughly a mile; after that, runners then head out onto South Street Extension and follow it southward all the way down to the intersection with Morse Road. Once runners make the turnaround, they had back northward up South Street back to the finish line at the Medical Center, passing through farmlands all along the way through most of the last few miles of the race. Located along the eastern edge of the state, along the Vermont-New York border and just miles from Lake Champlain, Middlebury typically experiences weather conditions that are still quite cool and often cold in the mid-spring season, and frozen precipitation is always a possibility here in New England this time of year. See the race route map for the Middlebury Maple Run Half Marathon here. To reserve your spot in the 2019 running of the Middlebury Maple Run Half Marathon or Relay, register online at Chronotrack.com here. 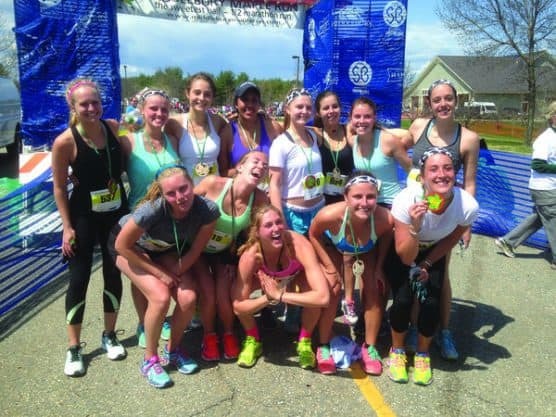 Ever run in the Middlebury Maple Run? Share your impressions here, or post your review in the Comments below.